Dr. Minhaz Uddin Ahmed is a Senior Assistant Professor of Analytical Chemistry and Biotechnology at the Universiti Brunei Darussalam (UBD). He obtained his Ph.D. in Chemical Materials Science from Japan Advanced Institute of Science and Technology (JAIST) in 2008 under the supervision of Prof. Eiichi Tamiya and later worked as – JSPS post doctoral fellow at Osaka University, Japan (2008-2009, with Prof. Eiichi Tamiya), DARPA post doctoral research associate at Duke University, USA (2009-2010, with Prof. April S. Brown) and NSERC post doctoral fellow at INRS-EMT, Canada (2010-2012, with Prof. M. Zourob). His research interests are in the areas of biosensors and diagnostic technologies, and applications to nanobiotechnology, clinical and environmental chemistry. Dr Ahmed is an alumnus of JAIST and a prestigious young participant/fellow of 57th Lindau Nobel Laureate Meeting for Physiology and Medicine, 2007, Germany. In 2008, he was awarded with the prestigious Japanese Society for the Promotion of Science (JSPS) young scientist award to work in Graduate School of Engineering of Osaka University. In 2009, he was awarded with the United States Defence Advanced Research Project Agency (DARPA) post doctoral fellowship to work at Pratt School of Engineering of Duke University. He started his own research group in 2012 at science faculty-laboratory for Biosensors and Biotechnology, Universiti Brunei Darussalam. Apart from his research group, he has been appointed as a "Research Lead" for the BEDB-BRISc funded VBL (Venture business laboratory) at UBD. He is currently supervising four full time Ph.D. students, one MSc student, four research assistants in his laboratory. He is also involved in teaching courses like Biosensors, Biochips and Nanobiotechnology, Modern Analytical Techniques, Nutritional Biochemistry and Food Chemistry and Chemical Analysis of Foods. His researches are to develop reliable and simple methodologies that could allow bioanalytical detections to be carried out for various applications, particularly on the aspects of food safety, healthcare and environmental protection which deserve public awareness. 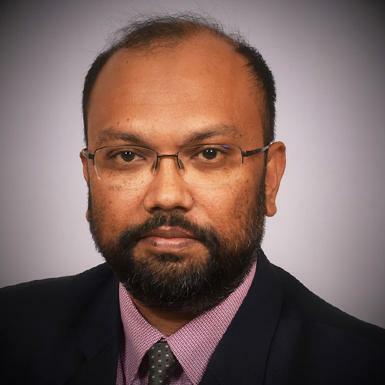 He has published numerous articles on the reputed journals of Bioanalytical chemistry like Biosensors and Bioelectronics, Analytical Chemistry, Analyst , Critical review in Biotechnology, Food Chemistry, RSC Advances etc. He is also the co-inventor a number of patents of United States. He is frequently invited to write reviews in top international journals like Biosensors and Bioelectronics which is the principal international journal devoted to research, design development and application of biosensors and bioelectronics in the world. Dr. Ahmed’s works are currently funded by Brunei Research Council (BRC-10 and BRC-4), Graduate Research Studentships, Cross boundary research programme of Osaka University. He has also active research collaboration with Osaka University, JAIST, Cranfield University of UK, Harvard University of US, INRS-EMT of Canada, University of Chittagong of Bangladesh, and Alfaisal University of Saudi Arabia. Currently, Dr Ahmed is also serving as an Associate Editor of the Q1 journal “RSC Advances” published by the Royal Society of Chemistry (RSC), UK. As an Islamic country, Brunei Darussalam strives to implement the production of Halal products, especially food, in accordance to Islamic dietary law. However, majority of the commercial food products in Brunei are yet being imported from abroad. Hence, there is a risk on food frauds to be aware of by the public. For example, contamination of food products by traces of pork material.Currently, we are working on a detection system based on Real Time Polymerase Chain Reaction (RT-PCR) or Loop-Mediated Isothermal Amplification (LAMP) that could allow detection of low abundance pork DNA in food samples. In addition, we are also striving to develop novel methodologies based on electrochemical and colorimetric detection systems. In parallel, we are also attempting to improve the efficacy of each methodology by implementing nanotechnology on catalytic mechanisms, biochips production and so on, as well as to develop a detection system that can be utilized for on-site monitoring. Putting it together, our goal is to develop highly sensitive, highly specific, rapid, portable and robust detection systems that can be employed for on-site monitoring during Halal food inspection.Please email: &lt;minhaz.ahmed@ubd.edu.bn&gt; with your interests for updated proposals. By targeting specific DNA regions of pathogens, RT-PCR can be employed for the detection of foodborne and waterborne pathogens for microbial analysis. Currently, we are in collaboration with the Institute of Health Science (IHS) to develop a detection system based on RT-PCR technique for the detection of bacteria, including Bacillus cereus, Legionella pneumophila and Staphylococcus aureus.Furthermore, we are also developing new strategies using tablet blister packs for the detection of White spot syndrome virus (WSSV), which has been associated with shrimps infection harvested from South China Sea that has caused huge economic losses.With the increase of undeclared importation of plants and planting materials from neighboring countries, local plants are more susceptible to dangerous diseases caused by microbes infections. Hence, we are also planning to develop strategies that can allow detection of harmful microbes to identify infected plants in counter for further damages. Please email: &lt;minhaz.ahmed@ubd.edu.bn&gt; with your interests for updated proposals. Cancer is one of the leading causes of death not only in Brunei Darussalam, but also globally. human chorionic gonadotropin (hCG)is a hormone commonly found in the serum of pregnant women. Presence of significant high level of hCG in men and non-pregnant women can serve as an indication for cancer development. Previously, our laboratory has conducted studies on the detection of hCG based on nanotechnology and electrochemical biosensing approach. By electrochemically quantifying the level of gold nanoparticles that are conjugated to anti-hCG antibody, we could indirectly quantify the level of hCG in serum. Using this strategy as template, we are striving to bring this methodology toward the detection of other biomarkers like sIgA (Saliva), C-reactive protein (CRP), Interleukin 1 Beta, Prostate specific antigen (PSA) etc. Please email: &lt;minhaz.ahmed@ubd.edu.bn&gt; with your interests for updated proposals. 2014-2017: Brunei Research Council’s grant (BRC-10) as a Principal Investigator; (Grant amount 2.4 million BND), Project Title: A versatile signal amplification strategy for biomarkers identification using flexible substrates. 2015-2017: Brunei Research Council’s grant (BRC-4) as a co- Principal Investigator: Multidisciplinary research on salivary biomarkers. (Grant amount 1.2 million BND). 2013-2014: (as a Principal Investigator): UBD Special Grant by University Research Council, (Grant amount 21700.00 BND: for 2 years). 2008-2010: As a co-PI: Grant-In-Aid from Japan Society for the Promotion of Science (JSPS) for Scientific Research. (Grant amount 1.5 million Japanese Yen). 10. Mohammad Rizwan, Noor Faizah Mohd-Naim and Minhaz Uddin Ahmed, Nanocomposite modified CdSe QDs electrode for a label-free and highly sensitive ECL immunosensor, US and Brunei Patent Pending (2017). 9. Mohammad Rizwan, David Koh, Minhaz Uddin Ahmed, A nanocomposite based immunosensor for detecting biomarker and method thereof, US and Brunei Patent Pending (2017). 7. Hamadah Nur Lubis and Minhaz Uddin Ahmed, A process using ZEN hydrolysis probe for detection of porcine contamination and kit thereof, Brunei Patent. Brunei file# BN/N/2016/0062. (08 August 2016). 6. Syazana Abdullah Lim and Minhaz Uddin Ahmed, Electrochemical immunosensor system and its method of use in analyte detection, Brunei Patent, Date: 7/03/2016; File# BN/N/2016/0008. (2016). Associate Editor: RSC Advances (2015-to date), Q1 Journal of Royal Society of Chemistry, UK. IF 3.2. We are aiming at developing reliable and yet simple methodologies that could allow biological detection to be carried out for various applications, particularly on the aspects of food safety, healthcare and environmental protection which deserve public awareness.